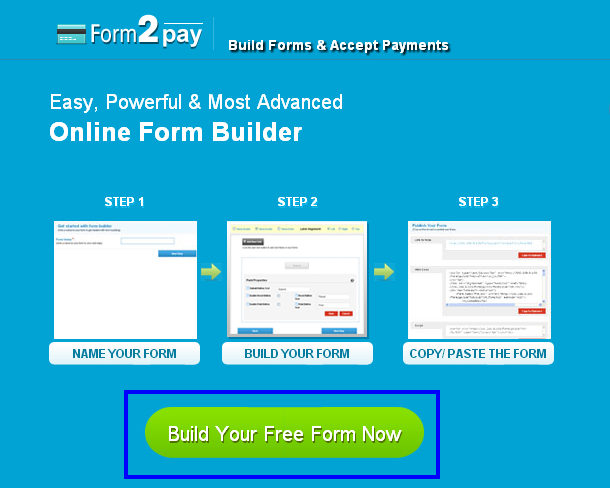 Creating your first form with Form2pay Form Builder requires no additional programming knowledge or html coding. Simply click on the Get Started button on the screen. Enter a form name and title. The form name and title helps denote the purpose of the form and will make it easy for you to store and manage your forms in the future. 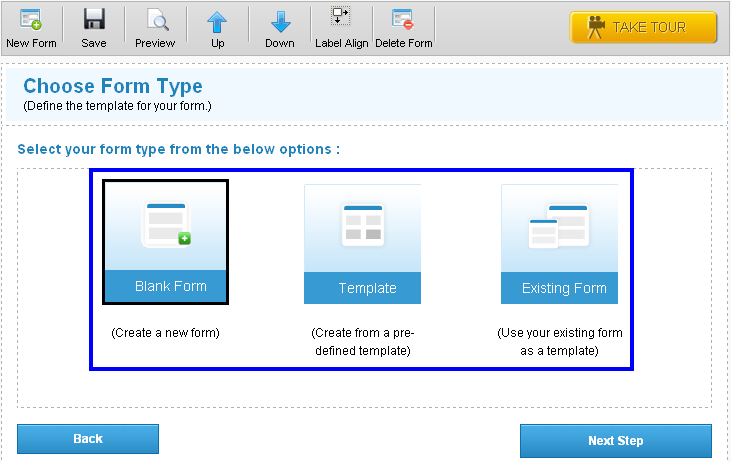 You will now see three options in Form2pay Form Builder namely – Blank Form, Template and Existing Form. 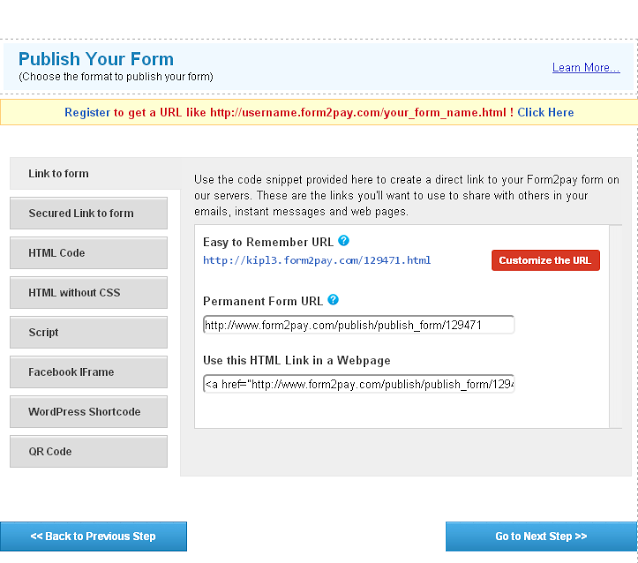 - The Blank form allows you to create an entirely new form. - The template is a pre designed standardized theme, based on which you could create your new form. - You could also opt for the existing template, and choose from any previous templates that you might have saved. The next stage will take you to the creation of fields in Form2Go form builder. Click on Add new fields. Here you'll see two options, Quick fields and Technical fields. - Technical Fields are more for advanced users. - Quck Fields are for users convinence. They are ready to use fields. 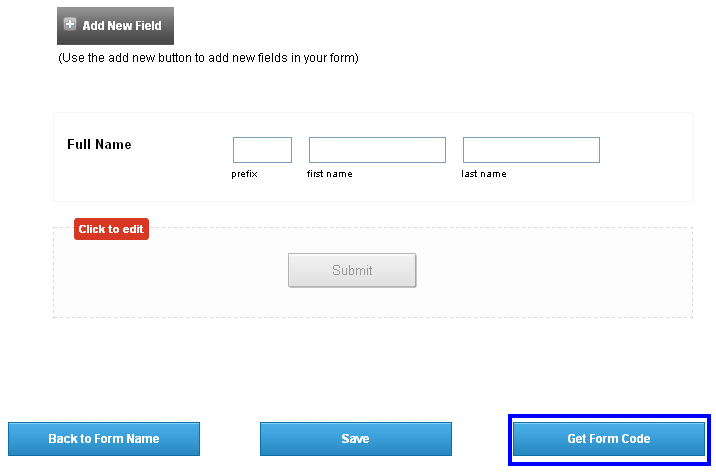 You can click on name, Email address, Date, Time etc to add a field as required by your form. Click on the Save button at the top of the screen. To preview the changes on the form, click on the preview button at the top of the screen. You can add or delete forms by clicking on the New Form button and Delete Form button at the top of the Form Builder Screen. To get your form code. Click on Get form code to acquire the html code, link or script to the form you have created. There is the option of an Html Code with CSS and without CSS as well. 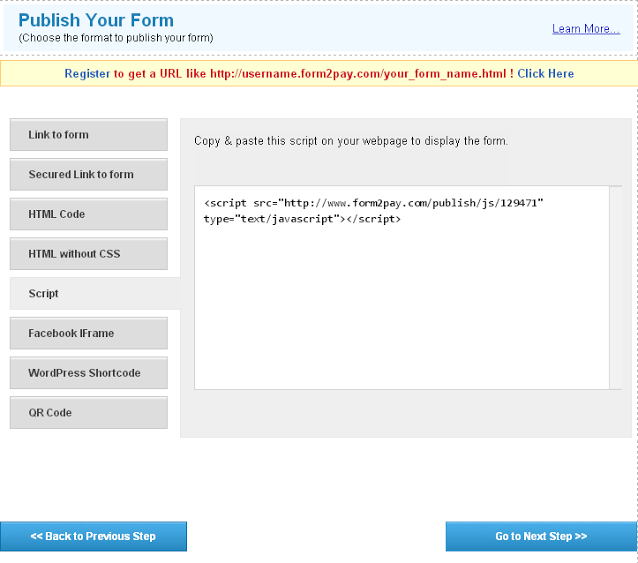 Copy the link, script or Html code to paste on your website.